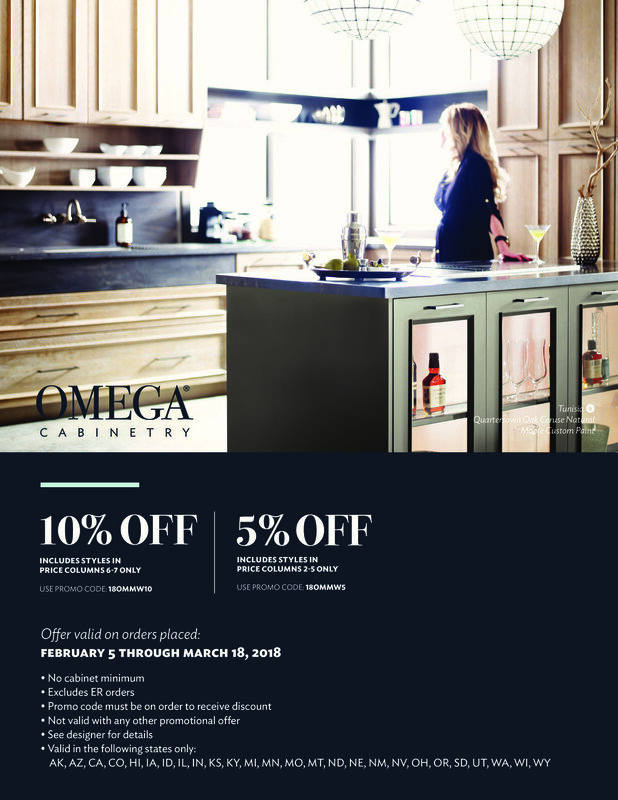 Omega Cabinetry Promotion! — Andco Kitchens & Baths, Inc. Starting February 5th all the way through March 18th. 5% & 10% OFF select Omega Cabinetry styles! Stop on down to our showroom for further details.